Hannibal Buress hasn’t exactly been struggling. He's written for a year on Saturday Night Live, then spent time writing and making occasional cameo appearances on 30 Rock before his second album/special, Animal Furnace, last year. And for those who haven’t seen his supporting role on The Eric Andre Show, it’s some surreal, zany hilarity. But according to a Deadline report, Buress is about to get much more visible for his own work. Buress just signed a new development deal with Comedy Central that includes a new one-hour special, a pilot that Buress will executive produce, a nationwide standup tour, and a recurring role on the Amy Poehler-produced broadcast version of web series Broad City. 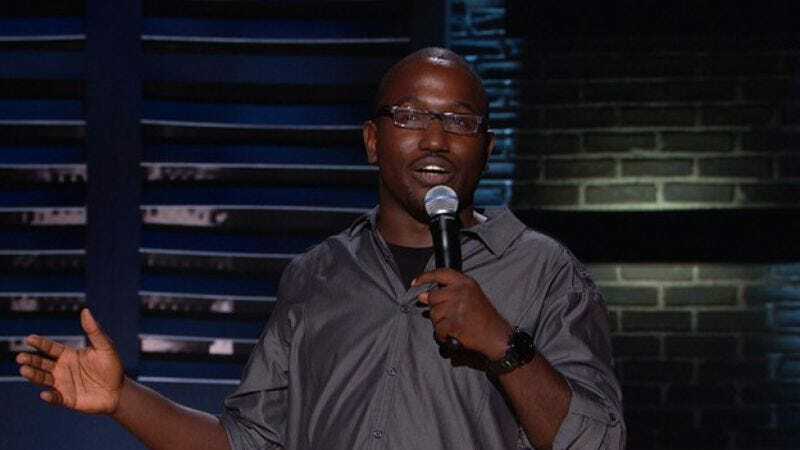 With all of that work, Buress won’t be able to open his shows with a bit about how nobody recognizes him anymore—though he should be highly encouraged to continue sharing any interview from a college newspaper about his comedy performances.